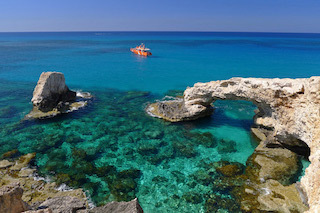 Cyprus, situated in the Eastern Mediterranean sea is home to great food, world renowned literature and of course, a whole load of stunning properties just waiting to be snapped up. So many in fact that thecountryis proving to be one of the fastest to return to normality following the recent fiscal crisis and property sales have improved by 8% this year alone. Sales across the whole island has risen faster than most countries, with Nicosia (the island'scapital) up by 64% and Paphos (perhaps themostfamous) up by 30%. As these markets return to normal, more and more estate agents are doing a little tsifteteli (traditional dance) at the increased sales and commission! But as the property market returns to normal, don't get bogged down with the paperwork and allow UltraIT to make your life easier. We'll be visiting the area again soon, so check out the best date for you below. 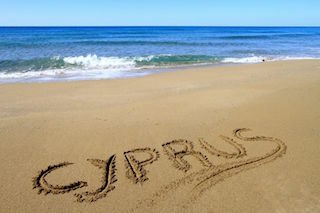 We've been offering our services to real estate agents for the last 15 years and our latest expansion to the Cyprus area is already proving a success. Due to the increase of sales on the property market, people are crying out for a hassle-free service that can be tailor made to your individual needs. It doesn't matter whether you are selling small, local properties or larger, international properties, we have the service that is right for you. UltraIT offer a reliable service that other companies just can’t match! We're adept at helping the customer find out exactly what they need and making your life easier. Our total management system is the fastest and most reliable service for real estate agents all over the world, and that now includes Cyprus! Real estate agents all over are choosing the UltraIT management systems to bring their companies into the future, to simplify the systems AND to reduce errors. Our purpose built IT solutions offer the complete package at prices that beat all our competitors. We will be in Cyprus during December, so if you would like a no-obligation visit and demonstration, get in touch now to book! We offer secure cloud based access from anywhere and our inclusive Anti-Spam and Anti-Virus protection gives you the peace of mind needed in the modern world.Plus we offer various options and add-ons allowing you to tailor make a system that you want, whilst our pay-as-you-go payment options won't break the bank. Our software can work with whatever system you use and our tech agents can help you ensure you fully understand exactly what's offered to you. We also get your website completely mobile and tabletintegratedso you'll never miss a salesopportunity. UltraIT offer the complete package to taking your business to the next level.Contact usnow to book your no obligation meeting with our representatives.